When in comes to making modifications to a WordPress theme, creating a Child Theme is Job #1. Using a child them allows you to modify the styling and layout of a parent theme to any extent without editing the files of the parent theme itself. 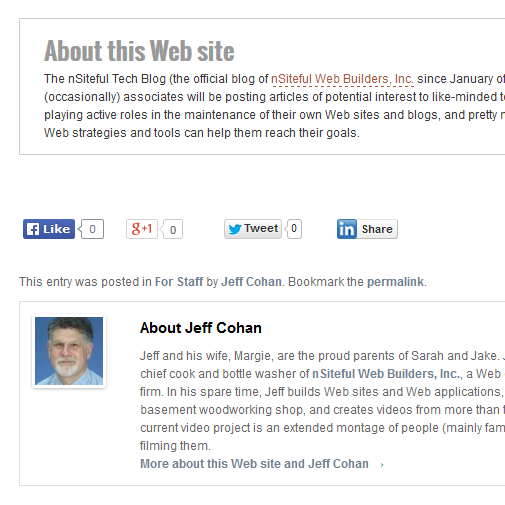 That way, when the parent theme is updated, your modifications are preserved. 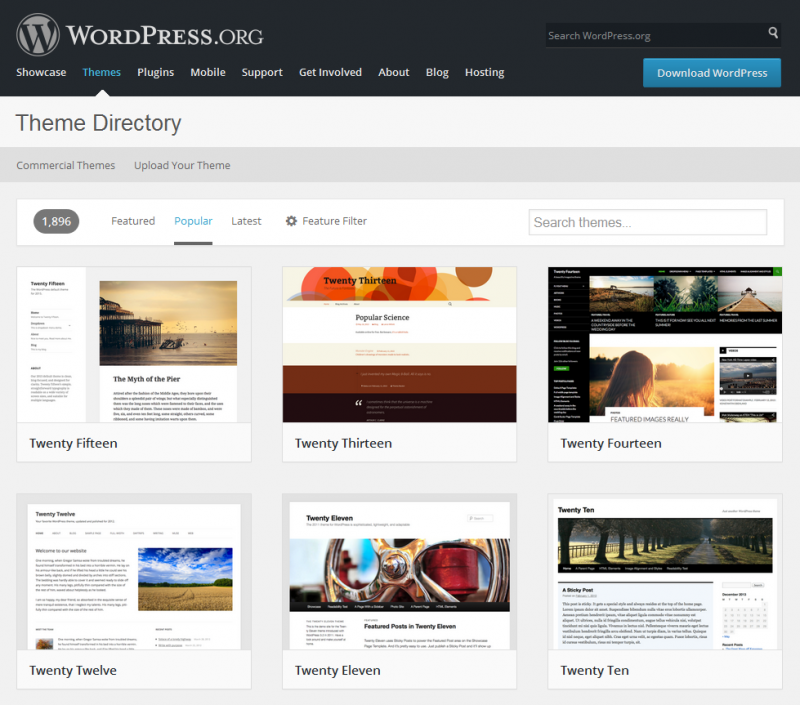 The WordPress codex goes on to say For this reason, child themes are the recommended way of making modifications to a theme. 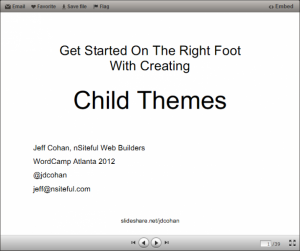 I had the honor of delivering my presentation on Child Themes to fellow WordPress developers at this year’s WordCamp Atlanta conference. You can view my presentation slides here. Implementing a child theme in your WordPress site can be as simple as adding a few lines of code to your child theme’s stylesheet or as complex as building custom functions that leverage WordPress’ vast repository of hooks. 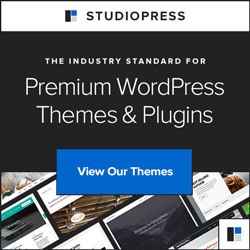 Let me hear from you if you have questions about implementing a child theme in your WordPress site.